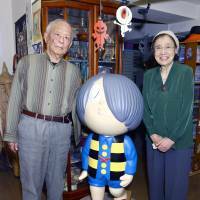 Cartoonist Shigeru Mizuki, known for his “GeGeGe no Kitaro” series depicting yokai, the spirits and monsters of Japanese folklore, died Monday of multiple organ failure at a Tokyo hospital, his office said. He was 93. Mizuki, whose real name was Shigeru Mura, was hospitalized Nov. 11 after he fell and hit his head at his Tokyo home. He underwent emergency surgery and temporarily recovered at one point, but died at 7:18 a.m. Monday, according to the office. The native of Tottori Prefecture started his career as a cartoonist after barely surviving World War II, during which he was sent to Rabaul — a scene of fierce fighting — in what is now Papua New Guinea. He suffered from malaria and lost his left arm in a U.S. airstrike. Mizuki is also known for works that depict the horror of war, such as “Soin Gyokusai Seyo!” (“Onward Towards Our Noble Deaths”), a 1973 manga based on his battlefield experiences. The extensive piece won high acclaim internationally and in 2009 it received the Heritage Essential Award of the Angouleme International Comics Festival in France. Witnessing the death of his fellow soldiers, together with his own experience of drifting between life and death during the war, also gave Mizuki inspiration to draw yokai monsters in works such as “GeGeGe no Kitaro,” in which the main character strives to achieve peace between the human and spirit worlds. Reflecting the popularity of his work, which transcends generations, “GeGeGe no Kitaro” was repeatedly adapted into TV animation series as well as live-action films. 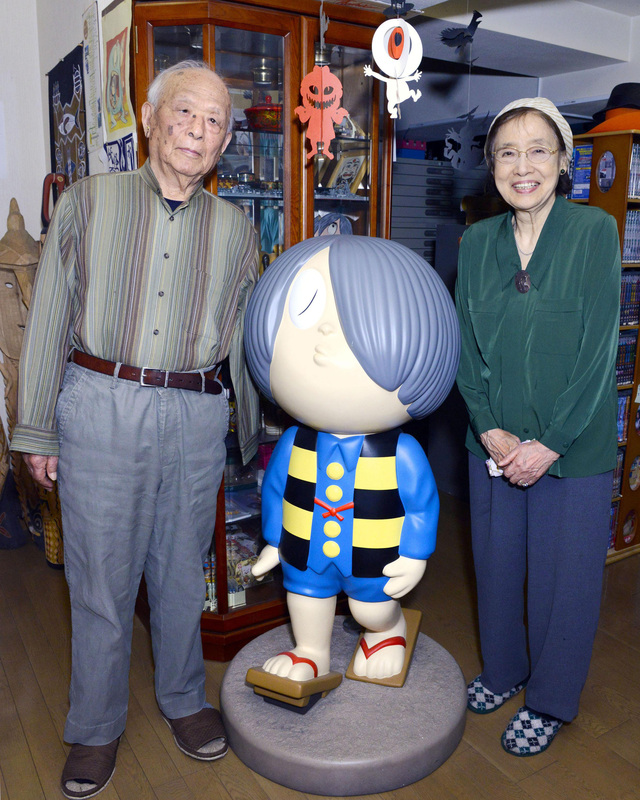 A museum dedicated to Mizuki opened in Sakaiminato, Tottori Prefecture, in 2003, becoming a major tourist attraction alongside the “Mizuki Shigeru Road,” which displays more than 100 statues of his characters, including Kitaro and a mouselike man named Nezumi Otoko. A television drama series in 2010 about the life of Mizuki and his wife, Nunoe Mura, was also popular.